Further to the public consultation carried out in September 2017 regarding the future of the Avenue of Remembrance, we would like to inform you that work will start on site during the week commencing 29 January 2018. Recommendations were made to renew the avenue after 96% of the 230 residents involved in the survey indicated that they were in favour of replacing the original and replacement trees which had not thrived. All the existing cherry trees will be removed and the soil will be improved prior to planting the young replacement cherries. A meadow strip will be then sowed underneath the young trees. 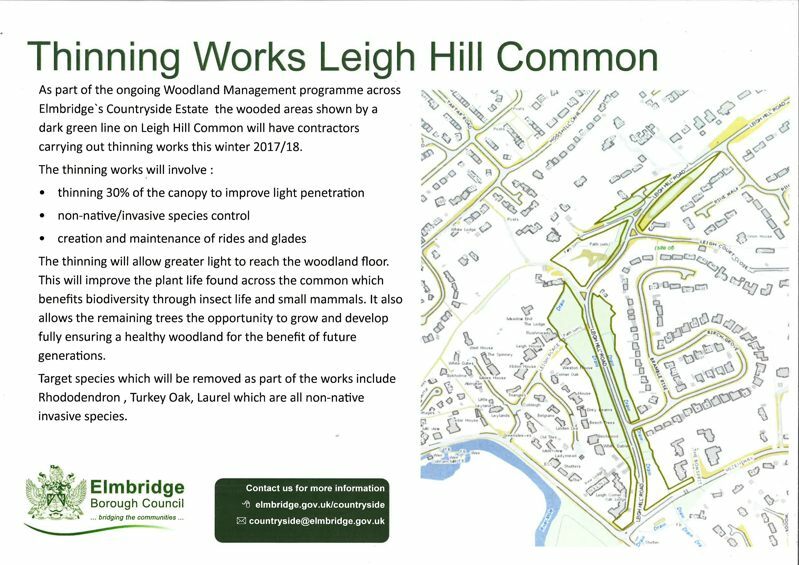 The works to remove the trees will be started week commencing 29 January 2018, with the new trees being planted week commencing 12 February 2018, subject to weather conditions. 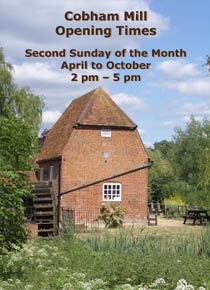 The meadow will be sown in the spring. While the works are in progress there will be significant impact on the appearance of the site, however in the longer term, once the trees have established, the avenue will be restored to its original state as the much-loved landmark which was originally intended to honour the memory of local soldiers fallen during WWII. 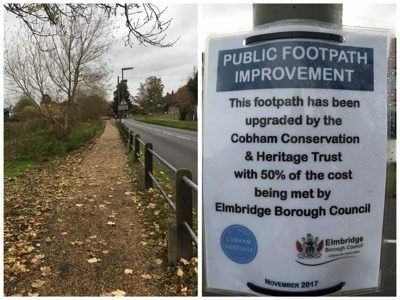 Cobham Conservation & Heritage Trust is delighted to report that funds raised from Cobham Heritage Day contributed to the overhaul of the riverside footpath from the Tilt to Cobham Mill. The path, which was completed 21 years ago and is maintained by the Cobham Conservation and Heritage Trust, has just been resurfaced thanks to the hard work of the Heritage Trust team. Elmbridge BC contributed 50% of the cost from their Community Infrastructure Levy. We are very please to see that footpath between the Cobham High Street and Cedar Road has now reopened now that much of the Cedar Road Shanley housing development has been completed. This gives pedestrians an easy way to get from the High Street to the Cedar Centre and Cobham Library. You may have heard that Elmbridge Borough Council has opened a very important consultation as to how we can best preserve the Avenue of Remembrance at the Tilt. You will recall that we erected the granite monument there in 2009 to put into context the flowering cherry trees. The Avenue of Remembrance of flowering Cherry Trees on the Tilt is both a well known local landmark and a registered war memorial. 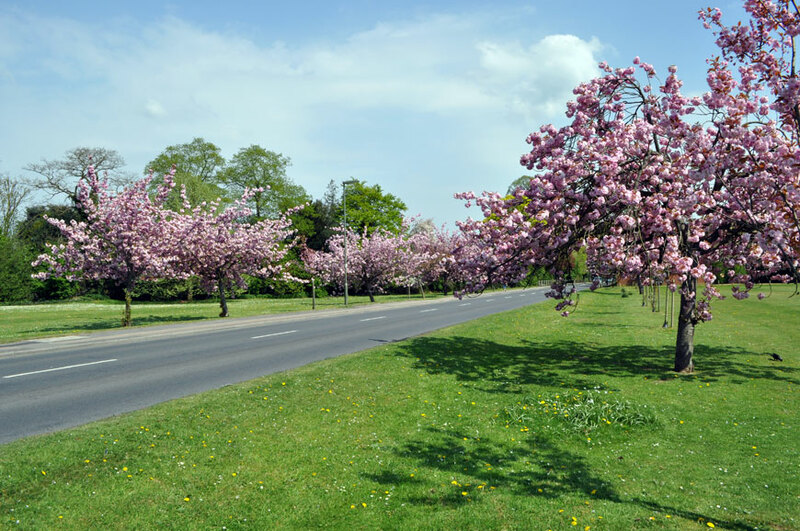 Because cherry trees only have a life of 40 - 60 years and because replacement trees are not thriving with the severely compacted ground, the Avenue has lost its impact and the community now needs to consider the best course of action for this important landmark. Following consultation with the local ward Councillors and key community stakeholder groups including this Heritage Trust, it is now important that the Council officers understand your wishes as the residents of Cobham and Stoke d’Abernon. 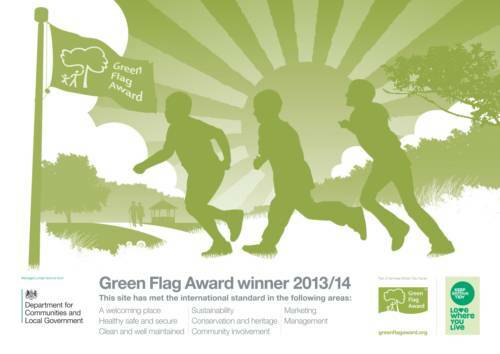 Please take the time to look at the report and the additional information provided and to make your views known via the Elmbridge Council website (click here to visit the website). It is important to note that the Council has secured funding for both the options outlined in the report and no decision has yet been reached. The Council looks forward to hearing your views by 30th September 2017. The consultation questionnaire only requires you to choose between two options and to add any comments you may want to leave and will only take a few minutes of your time. The council have arranged two drop in sessions where officials will be available to chat to residents about the proposals: on Tuesday 19 September, from 17:00 until 19:00 at Cobham Library, Cedar Road and Saturday 23 September at Cobham Farmers Market, Hollyhedge Road from 09:00 until 14:30. In addition, Ian Gayton, head of open spaces at Elmbridge and a great friend of the trust will be coming to our open meeting on Wednesday 27th September 2017 at 8pm at the Cobham village hall when he will be discussing the subject and will be answering your questions. The Wisley planning appeal hearing, in respect of plans to build a new settlement of over 2000 homes on the Green Belt, will start on 19th September 2017. It is most important that as many people as possible attend the hearing, in particular on the first day, in order to impress the Inspector with the strength of opposition to the plans. The hearing of the planning appeal by Wisley Property Investments Limited (WPIL), a Cayman Island registered company, against the refusal last year by Guildford Borough Council of their application to build over 2000 homes on the Green Belt will start on Tuesday 19 September 2017 at the Yvonne Arnaud Theatre Guildford at 10 am. Cobham Conservation & Heritage Trust have an interest as a Rule 6 party, entitling it to cross-examine the WPIL witnesses. Other local interests such as the Wisley Action Group (WAG) and Parish Councils have appointed barristers to further the case against. This planning appeal will last up to 20 days and while it will be heard at the Yvonne Arnaud Theatre for the first four days, the hearing will then switch to the Council Chamber at Millmead House, Millmead GU2 4BB on Monday 26th September. WAG is arranging a coach from the Ockham Parish Rooms to take you to the Yvonne Arnaud Theatre where your support on Day 1 is crucial.